As we approach the end of the year, it’s a good opportunity to engage in the process of tax planning by speaking with your accountant and other retirement planning professionals. Tax planning can be instrumental in helping to reduce the total amount of money that you owe on your taxes. 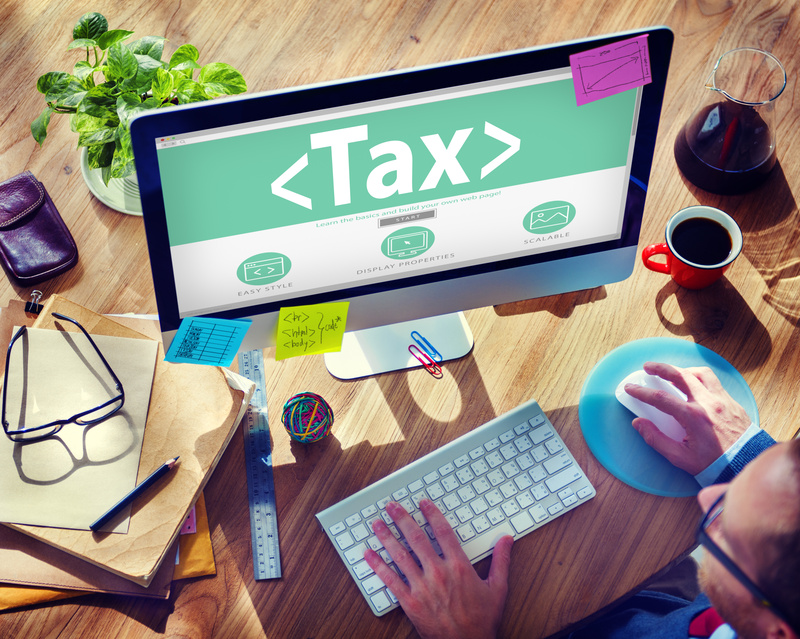 The prospect of reviewing your income taxes can be overwhelming for many, and this is especially true after the overhauled tax law that came into being towards the end of last year. Now is an appropriate time to verify that you have considered all possible aspects of updating your financial and tax plan. First of all, review your withholding decision and update your W-4 if needed. You can use line six on your W-4 to state an extra amount that you would like withheld from your account before year end. You can submit an updated W-4 in the future if you want to take that extra withholding out in the future. You can use a calculator on the IRS website to identify where and whether or not your withholding decision has been appropriate based on your individual and family circumstance. Furthermore, discuss the estimates of your 2018 and 2019 income tax situation to avoid unwelcome bills from the IRS about balances that are due. Maximizing contributions to your available retirement plans is a common strategy used before the end of the year. Additional contributions can be made for those people age 50 years or older and taxpayers can always explore their flexible spending account and figure out how to use these funds before the end of the year occurs. 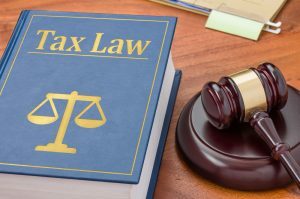 The new tax law doubled the standard deduction with more than 90% of tax payers now claiming that standard deduction, it will be important to discuss the tax planning options and how this affects you with your accountant and estate planning professional. What Is an I Love You Will? Since the federal estate tax exemption is at an historically high level of over $11 million, this leads to many questions brought by a client to estate planning attorneys about portability mechanism. These portability mechanisms have to do with a client’s unused exemption at death and many people are choosing to keep their estate planning as simple as possible and elect to leave all of their assets directly to the surviving spouse. Bear in mind that the federal estate tax exemption is portable, however, the exemption associated with the federal generation skipping transfer tax is not. This means that the GST exemption in situations in which all assets are left behind to a surviving spouse could be wasted. GST planning is often not an issue for most families because of the high exemption levels. However, those with significant wealth could make mistakes related to GST planning. Besides the tax issues associated with this portability exemption, many clients today are not married to the parent of his or her children. Some clients might not care exactly about who will benefit from their assets, but many do have exact provisions and guidelines that they want to enact. The appropriate method through which to do this is by using a trust to establish some level of control and peace of mind for the client. A trust enables you to determine what happens to these assets and how they can be passed on to future generations while also allowing some conditional provisions that can make things easier for you as well as your loved ones. 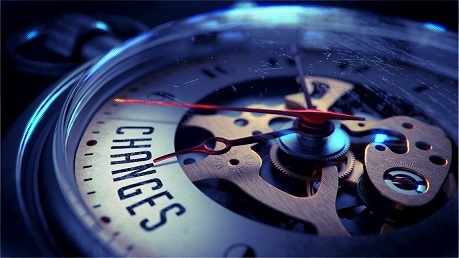 Getting some peace of mind with your estate planning begins with scheduling a consultation with an experienced lawyer who is highly knowledgeable about the constantly evolving aspects of the estate planning process and one who will keep you informed as state and federal laws related to estate taxes change in the future so that you are always updated with the right planning. Tax reform can have far reaping changes, impacts, and considerations for families who were thinking about or who are already involved in charitable giving. Understanding your options is important since giving to charity can help you to accomplish many individual goals regardless of the tax planning. The non-tax benefits associated with charitable giving are often important when it comes to planning as well as motivating your underlying decisions. According to the Tax Cuts and Jobs Act 2017, many donors, aside from wealthy individuals making significant donations, will get any benefit from tax donations. This means that non-tax motives are the major giving motivation for donors than ever before. 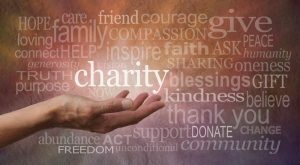 It’s important to realize, however, that charitable giving can still take an important role in your financial strategy and that charitable giving can take many different forms. There are many ways to provide benefits to charities through a wide range of estate and financial plans. You might, for example, give bequests or gifts that could be deferred. For those couples who wish to give to charity and do not have children, a simple adjustment to a scheme that would typically be tax oriented can reap significant charitable benefits for an organization since the couple’s most common goal is going to be to take care of one another. But they may wish to put together an estate plan that transfers all of their assets or many of their assets after both parties pass away. On the death of the second person, an estate plan can help to accomplish this goal by passing on the necessary assets after selecting a charity in which both individuals are actively involved. Charitable giving often begins with a consideration of what you find important and consideration of the various goals and organizations you’ve been involved with over the course of your life can help to clarify this and give you clarity over how to proceed. A consultation with a knowledgeable estate planning attorney is a good first step. The estate tax exemption is currently set at multiple million per person. While conventional planning techniques, at a very basic level, can cover you from a tax perspective, they might not address the family conflicts, and in particular, one of the leading mistakes that people make when looking ahead to their future is in appointing the smartest or perceived brightest child to oversee your estate. This could end up being a mistake, however, if you are not careful. While conventional planning opportunities can help assist with tax problems, they might not go far enough to address family dynamics that will long outlast your savings and you. This is why it is important to have an estate planning attorney who is knowledgeable about possible issues of family conflict and one who can help you avoid these challenges and to successfully navigate a plan that looks into the best interests of you as well as your individual family members. The support of a lawyer is instrumental in outlining what is in your best interests and how to minimize the potential for conflicts and legal issues down the line. The elderly are exposed to all different types of possible financial fraud, and unfortunately, tax scams are on the rise. Telephone tax scams have become extremely prominent in recent years and despite the fact that there have been featured in the news media and warnings from the federal government, it is tempting to want to deal with these tax situations sooner rather than later. Chances are though, however, that the IRS is not calling you directly. Some of the most common forms of these telephone tax scams right now, tell a person that they are going to be prosecuted if they do not make a payment immediately. Tax scams ate always on the rise nearing tax season, particularly any phone calls that threaten criminal prosecution, lawsuits or police arrest. 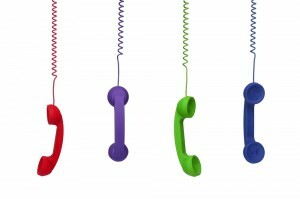 The IRS says to avoid giving any personally identifying information over the phone. More than likely when the IRS reaches out to a person who has a tax issue, this will be done in writing and will come on official IRS letterhead. Over the phone, people may threaten you and try to encourage you to give personal identifying details, such as your bank account, to make a payment. But this is not the IRS. Many of these criminals impersonate IRS agents and promise you a big refund if you give them private information. According to the Treasury Inspector General for Tax Administration, reports that were filed with that agency have led to more than $54 million in payments from victims to these phone scams. Being aware of these scams is one of the best ways to protect your assets from being decimated, now or in the future. If you have concerns about how to protect your assets appropriately, schedule a consultation with an experienced estate planning lawyer today. 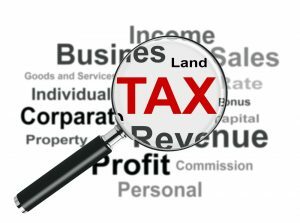 Many people are taking the opportunity to look at their current estate plans and tax plans in light of new tax laws in the U.S. While everyone can benefit from a regular review of their estate planning tools, high net worth clients have the most to gain from setting up a time to talk about estate planning and asset protection planning. There are a number of different tax implications for wealthy families currently facing the restructuring of their estate and tax plans. Trusts can provide valuable protection from divorcing spouses and creditors and also enhance the control of an individual over how a beneficiary inherits wealth. This is particularly important for families that have addiction, mental illness, or spendthrift considerations. Furthermore, trusts can be used to help preserve wealth for numerous generations. 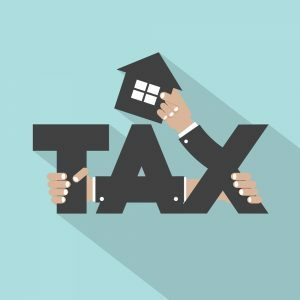 Since numerous different states will have their own estate tax regimes and you may own property in multiple states at the same time, anyone who owns property or resides in those states should continue to plan around these state level taxes. For very high net worth clients who still have exposure to the federal estate tax or live and own property in states with their own estate tax, traditional wealth transfer strategies identified by an experienced estate planning lawyer can be helpful. Are you getting ready to file your tax returns in New Jersey? Many people who rushed to pay their 2018 property taxes before December 1st will not be able to deduct this expense from their 2017 state income taxes, according to research from the New Jersey Society of CPAs. The IRS recently issued instructions that certain 2018 pre-payments were deductible from federal income taxes in 2017. While this is true at the federal level, the same is not true for state income taxes. Homeowners may be in for an unfortunate surprise when they realize that their attempts at end of year planning to increase their federal property tax deduction will have no impact on their exact 2017 New Jersey income tax returns. Setting aside a time to talk to an experienced estate planning attorney in New Jersey can give you a great deal of peace of mind and clear planning strategies for your best interests. You need to look to the year ahead and ensure that you’re using strategies that both work for you as well as truly protect your interests. 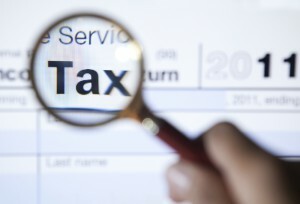 It can be a minefield to try and decipher tax laws on your own. Thankfully, however, with the help of a lawyer this process can be made that much easier. Sitting down with an attorney and walking through your current strategies to identify whether or not they will still work for you is a valuable exercise and one you should consider carefully. Are you currently following all the news about potential tax updates? If so, you’re not alone. Many people are expressing their concerns about whether or not tax issues will affect them if a major reform comes into play. Congressional Republicans and the White House have proposed a new tax reform plan that eliminates the Federal Estate Tax. However, while this would make it easier for some people to simplify their estate planning, avoiding complex strategies to produce a potential tax bill, this doesn’t mean that you should necessarily ignore estate planning overall. First of all, you want to ensure that your assets go to where they are needed the most. The more complicated your family situation, the greater the need for a comprehensive estate plan. Remember that some states will still have state-level estate taxes. The majority of states do not have an estate tax, but six states have inheritance taxes that apply to the recipients of gifts and 14 states in addition to the District of Columbia have state level estate taxes. The exemption amounts are often much lower than the federal exemption of $5.49 million. 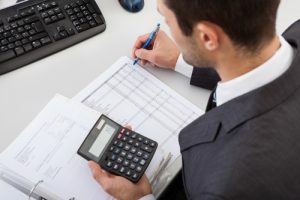 The need for federal tax planning in and of itself will also not go away and you should never skimp on estate planning because there are many different goals that you can still accomplish with this process and benefit from the insight of an attorney, who can help you to identify strategies to pass along your accumulated assets to your loved ones. Scheduling a consultation with an experienced estate planning attorney today is strongly recommended. It might seem like you’re still just beginning the fourth quarter but it is still a good opportunity to consider your 2017 tax return. Wanting to get ahead over the fall can make things easier for you after the busy holidays. You may even be able to make your New Year a happier one with a reduced tax burden or a larger refund. Looking ahead to 2018, businesses and individuals need to be aware of the potential for late tax legislation and prepare for any of the responsibilities and requirements that could come with tax reform being a major priority for the current presidential administration. Tax planning opportunity should always be discussed with your team of advisors including your financial professional and your estate planning lawyer. Delaying income till 2018 and accelerating your deductions this year is one of the best ways to minimize your 2017 tax bill. This is particularly true if tax reform causes tax rates to go down in the next year. Accelerating your deductions into 2017 and pushing income into 2018 could lead to a permanent tax benefit if the tax rates are indeed lowered. You may also be able to request, for example, getting your year-end bonus later if it is standard practice at your company. If you are a freelance employee, you could also postpone billing. By doing so you may be able to claim larger credits, deductions and tax breaks for 2017 that are phased out over varying levels of adjusted gross income. This could include higher education tax credits, deductions for student loans interest and child tax credits. Some individuals may find that it is better to accelerate income into 2017 and this should be discussed directly with your financial professional. Could Partnership Income Tax Rules Help You with Estate Planning? It’s no surprise to anyone who has engaged in the estate planning process already that there are plenty of strategies out there to help you accomplish your planning goals while also passing on as much wealth to the next generation as possible. Many of these tools, though, could still be subject to generation-skipping taxes or other measures Congress has put in place. One novel strategy that could help minimize taxes is by granting a family member partnership interests in a family business. The most common way to think about estate planning without using this tool involves reducing the values of assets that will be included in an estate in order to pass on the future appreciation to the next generation taking control of that asset. This is usually done with tools like intentionally defective grantor trusts, grantor retained annuity trusts, or qualified personal residence trusts. 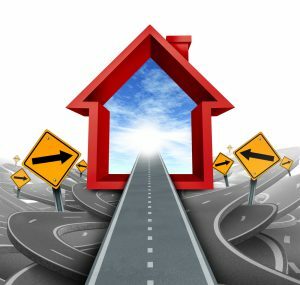 While all of these certainly have their place, each does come with some disadvantages that could compromise your ability to accomplish estate planning goals. Partnership income tax law provisions, however, could be the solution you’ve been searching for. A family business already taxed as a partnership, for example, could help accomplish estate planning goals successfully. You can reallocate portions of income and use transfer of appreciation or current value without having to tap into any lifetime or annual exclusions. Even better, this can help you avoid the negative implications of a generation-skipping transfer tax. There are a lot of complex strategies that can help high net worth families, but these should always be evaluated carefully by an experienced estate planning lawyer due to their complexity. All of the details really matter when it comes to strategies like this. When looking for estate planning solutions, it’s good to have an eye towards strategies that help you accomplish multiple goals at once. The right estate planning lawyer can play a critical role in helping you identify these. Now that Trump has been elected, it’s time to look forward to see what potential implications this has from a wealth and tax planning perspective. Of course, this is all dependent on the direction things go in January when he takes office, but there’s agreement across a typically-divided Washington that the tax code needs major reform. With the support from both sides of the aisle and a Republican Congress, there’s a good chance that bipartisan tax legislation will be on the agenda in the first 100 days of a Trump presidency. 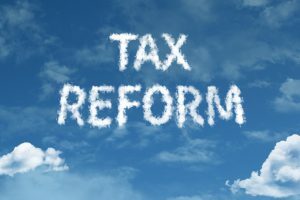 The main gist of the tax plan is to reform the code by dropping income tax rates for businesses and individuals and raising the standard deductions. Personal exemptions would be repealed and itemized deductions limited. Furthermore, Trump has shared his desire to repeal the federal estate tax. However, the least is known about how a repealed estate tax would actually get through. It’s not just individual income taxes that are going to take a hit, either. The corporate tax rate may be dropped from 35 percent to 15 percent. The majority of corporate tax expenditures will be eliminated except for research and development credits, and Trump also supports a one-time 10 percent tax for those who keep corporate profits offshore. No matter what the changes end up being, it’s clear that the winds of change are blowing. Everyone, whether it’s an individual planning ahead for their estate or a business owner concerned about long-term tax planning and asset protection, should be prepared for considering new strategies in the near future. Partnering with a law firm where the attorneys have extensive experience interpreting these complex issues and translating them into strategies for individuals will be more important now than ever. At the beginning of August, the Treasury Department issued proposed regulations under section 2704(b) of the Internal Revenue Code and a hearing has been scheduled for December 1st, 2016. These new regulations, while still in the proposal period, would take away all valuation discounts for inter family entity transfers that are controlled by the transferor or his or her family. While these regulations might not take effect until sometime in the following year, it could be necessary to complete any discount related planning over the next several months. Some of the biggest changes adopted in the proposed regulations are outlined below. These regulations give a broad definition of control. For example, control is classified as holding 50% or more of equity in a company based as an LLC partnership or corporation. For limited partnerships, control is equivalent to having an interest in the LLC’s general partner. The proposed regulations would change valuations for transfer tax purposes of interests in family owned entities that are subject to restrictions on redemptions or liquidations. Specifically, these restrictions will be disregarded in terms of valuing such interests for estate tax or gift tax purposes when the interest is transferred by a family member. The reasoning behind this is that after such a transfer the restriction would lapse or could be removed by the transferor or a member of his or her family. These would have a significant impact on wealth transfer tax valuation for family controlled entity interest. Practically no minority discounts would be allowed. In order to learn more about this process, you need to consult with a New Jersey estate planning and asset protection planning attorney. A knowledgeable attorney can help you protect your interests- reach out to our office today by contacting info@lawesq.net. It’s expected that tax policy will be one of the biggest issues in the 2016 presidential campaign. To understand how various presidential candidates, view this issue, read on to learn more. Estate tax. The Hillary Clinton plan propose increasing the highest estate tax rate to 45% and lowering the estate tax exclusion to $3.5 million. Donald Trump eliminates the estate tax entirely. Bernie Sanders would propose increasing the top estate tax rate to 65% and lowering the estate tax exclusion to $3.5 million. Income tax: Rates on ordinary income. Hillary Clinton wants to add a 4% tax on income over $5 million. Donald Trump establishes four tax brackets with rates of 0%, 10%, 20% and 25%. The top rate applies to income over $150,000 for single filers and $300,000 for joint filers. Bernie Sanders, likewise establishes four new brackets but these are 37%, 43%, 48% and 52%. The top rate applies to taxable income over and above $10 million. All other tax brackets would be raised by 2.2%. 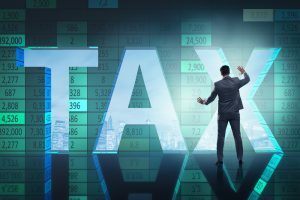 Although it’s impossible to predict just yet how these income and estate tax proposals could influence you, and whether they would be successful, you need to work with a knowledgeable attorney who can help guide you regardless of the changes made. Attorneys who are familiar with the changes made legislatively and at the turn of every new presidential administration can help explain to you how this would trickle down to you and what you can do to prepare for it in advance. Do not hesitate to reach out to a New Jersey estate planning attorney to learn more. 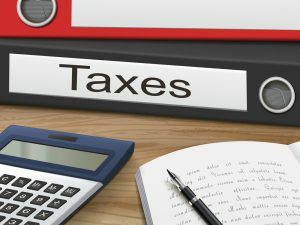 What Is The Scariest Tax Form? Tax lawyers and accountants spend the majority of their time focusing on exposure and you should as well. This means sometimes watching the calendar and clock until you are cleared of auditing exposure. The IRS typically will have three years to audit you. 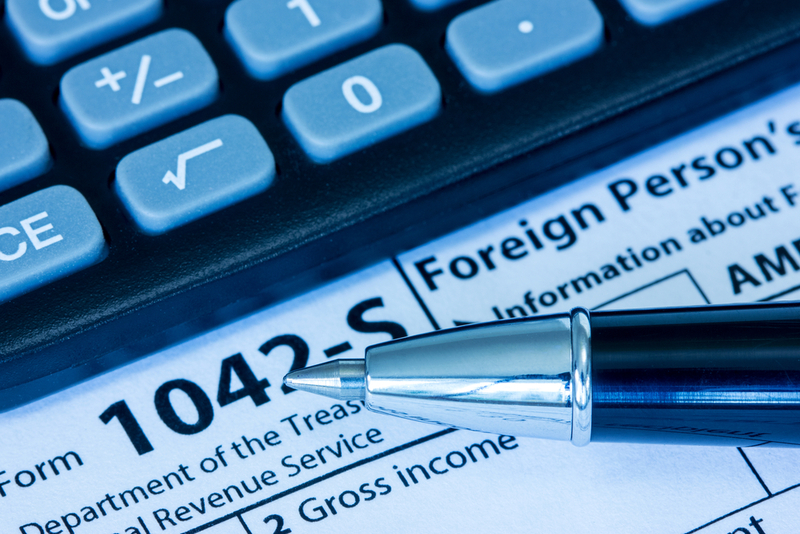 If you make a mistake with your offshore account reporting, however, the IRS gets six. There are other situations where they may get more. Many people may find it surprising that if you have a company holding a foreign account the issue becomes even more sensitive. These refer to controlled foreign corporations frequently referred to as CFCs. When a shareholder in the United States holds more than 50% of the value or votes in a foreign corporation the company is considered a controlled foreign operation. This triggers reporting requirements with the IRS, specifically the IRS Form 5471. This is a vital form. If you fail to file it, you could be facing penalties of up to $10,000 per form and a separate penalty can be applied to each form filed late, and each incomplete or inaccurate return too. 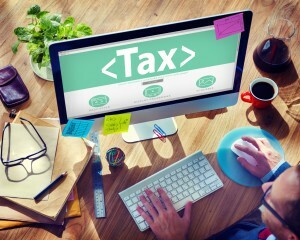 This penalty applies even if there is no taxes due on the return. 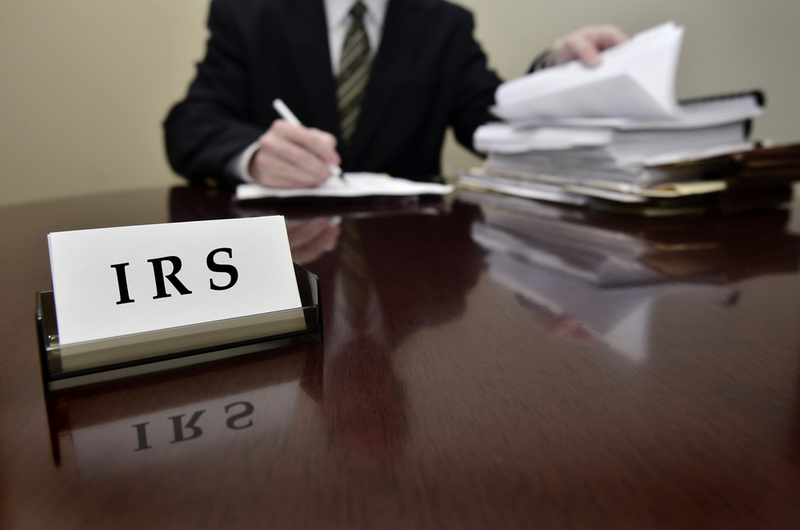 The override of the normal statute of limitations for IRS auditing in this particular form is broad. The IRS in fact has an indefinite period to examine as well as assess any taxes associated with items on the missing form. The IRS can make adjustments to the entire tax return with no date of expiration until the form is filed. You need to ensure that any time you have a situation like this that you have filed the form appropriately. 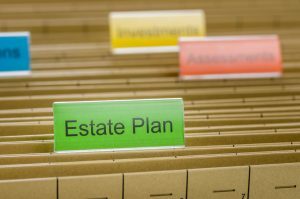 A shift has taken place in estate planning from saving on a state tax to avoiding capital gains taxes. With the federal estate tax exemption having been established at $5 million and now increase to $5.43 million per individual, it means that with portability, many spouses now are looking at a tax threshold of nearly $11 million and need not greatly worry. Only 0.12% of estates are likely to be taxed. This doesn’t mean that you should avoid important planning opportunities however, as you can benefit from thinking ahead and putting in place various strategies and tools to help maximize what you leave behind to your heirs. The shift in estate planning is now going from transferring assets during lifetime to doing so at death and this helps to erase capital gains taxes. Distribution from a trust can allow beneficiaries to pay income taxes on individual lower bracket rates. In early March, Representatives Kevin Brady and Sanford Bishop introduced an estate tax repeal bill currently known as HR 1105. Although this isn’t the first estate tax repeal bill to appear as possible legislation, it’s quite likely to head to the House floor for a vote. It would be the first estate tax repeal bill in the last decade to make it that far. While the specifics of the text inside are not released yet, it’s anticipated that it would suggest amending the Internal Revenue Code to repeal generation-skipping transfer and estate transfer taxes. It’s also expected that a maximum 35 percent gift tax rate would become permanent alongside a $5 million lifetime gift tax exemption. Repealing the estate tax does have traction in the public, especially because it’s perceived to be so harmful to American businesses and farms considered the backbone of the economy. Combined with the fact that the estate tax brings in under 1 percent of the government’s revenue, the Representatives who introduced the bill believe that it’s time for changes with the estate tax. The bipartisan legislation has already moved though subcommittee hearings, a Senate introduction of the bill, and the vote on the House floor. To learn more about possible changes in the estate planning sphere, contact us to set up a meeting for review of your plans. Reach out to us at info@lawesq.net. A fair amount of taxpayers are familiar with at least the basics behind gifts and taxes, but it’s important to understand your obligations when making taxable gifts to others to ensure your compliance with the Internal Revenue Code. If you make a taxable gift to someone else, a gift tax return needs to be filed. If you fail to do this, penalties may apply. If you don’t file the gift tax return as you should, you could be responsible for the amount of gift tax due as well as 5% of the amount of that gift for every month that the return is past due. If you fail to pay the penalty, you could be responsible for the amount of the gift tax due and .5% of the amount of the gift for every month after the due date. 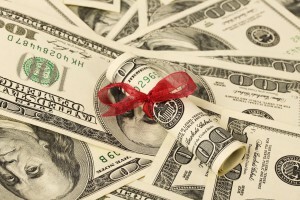 Sending in your gift tax return is important for practitioners, too. Failing to do this could result in criminal charges or even referral to the IRS Office of Professional Responsibility under the umbrella of a Circular 230 violation. Bear in mind that although this filing requirement does relate to taxable gifts, even those under the annual exclusion amount, should be listed on a report. Those who fall under the annual exclusion, however, are unlikely to face a penalty as these penalties only relate to the amount of tax due. If you’ve got more questions about your obligations for reporting with regard to gifts, contact our office to learn more about the process and how gifting can impact your overall tax situation. You can set up a meeting by emailing info@lawesq.net.